We are one of the leading Manufacturer, Exporter, Supplier, Wholesaler, Trader and Retailer of Garment Labels and Tags. 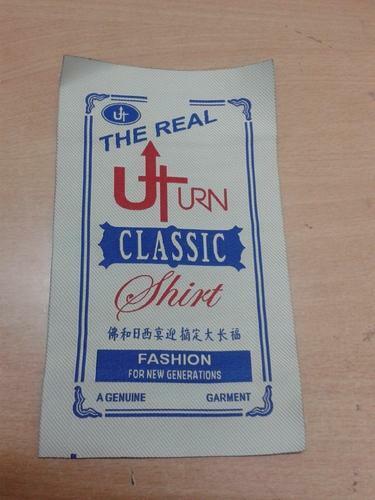 Owing to their attractive design, fine finish and excellent sheen, these Garment Labels and tags are highly demanded. We are one of the topmost Manufacturer, Exporter, Supplier, Wholesaler, Trader and Retailer of wide range of optimum quality Garment Labels and Tags. The product range offered by us consists of Garment Labels, Woven Labels and Printed Tags. Our designers design these garment labels and tags in adherence to the latest market trends by using sophisticated designing tools. Moreover, these garment tags and labels are offered by us at affordable prices and can be tailor made as per the specifications provided by the patrons. It is owing to their eye-catching design, fine finish and appealing appearance that these garment labels and tags are highly demanded.